Kassatly Chtaura was established in 1974 by President and CEO Akram Kassatly. Mr. Kassatly had the idea of creating the first bottled Jallab for home-preparation. The beloved drink was soon followed by a whole range of concentrated syrups, and flower extracts. These creations proved successful introducing Kassatly Chtaura as a repute and innovative establishment. Built on family legacy, market innovation and know-how, the company expanded its successful syrups product range to include a wide variety of Liqueurs in the 1980s, as well as Fruit Jams and finally Fruit Juices and Smoothies in the 1990s. The brand continued climbing the ladder to success, seizing every opportunity to spike consumers' interest with delicious innovations. At the wake of the new millennium, Kassatly Chtaura released a refreshing, ready-to-drink vodka beverage, Buzz, which quickly became the toast of the town. 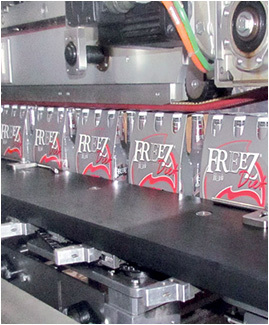 Within a year, another breakthrough was engineered, and Freez was born, a non-alcoholic carbonated fruit beverage that set a new trend in many countries across the globe. In 2005, true to the dream of Akram Kassatly and his degree in winemaking from Dijon, the Chateau Ka winery bottled its first wines, surpassing expectations and meeting standards of excellence in wine-making in many European countries. With its bold flavors, and subtle notes, this fine wine is appreciated in Lebanon, France, Canada, the USA and in the UK. Chateau Ka has earned several international medals and awards. 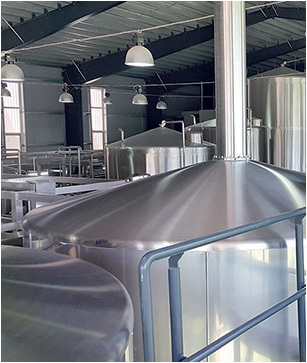 All the while, the Beirut Beer project had been brewing in the background for a while, finally coming to life in 2014. 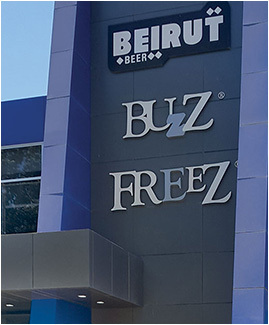 The recipe, the technology, the quality, and the label worked together harmoniously to build Beirut Beer's image and reputation. In 2018, Kassatly Chtaura released due to market demand a non-alcoholic malt beverage, Mezza. The Brand offers 6 different flavors and is low-in-calories, making it a round-the-clock greatly refreshing beverage. 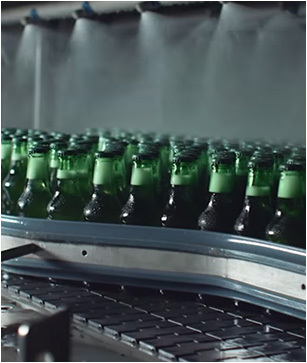 Through the years, Kassatly Chtaura showed its dedication to creating innovative beverages. History is bound to repeat itself and Kassatly Chtaura is sure to surprise you with exciting new products in the near future.